Which of the following are you responsible for in your role? Which	of	the	following products	are	you	currently	buying	or specifying? For the products you currently specify or buy, would the consequences of product failure be life altering or life threatening? What do you consider to be your biggest risk, when it comes to PPE? How do you currently ensure that all PPE used in your organisation is fit for purpose? As you understand it, what level of assurance does the CE mark provide? Which of the following actions do you take to have confidence that the products you specify will perform to the standards claimed? As you understand it, who is liable for an incident involving non-complaint CE marked PPE? We just need some details so we can send it to you. Once you have submitted your details your personalised report will be available to view online immediately. You will be able to download a PDF version of your report from the web page. We need this to be able to benchmark your answers against people in the same job role as you. We need this to be able to personalise your report using your sector. Arco takes your privacy seriously and we will only use your personal information to contact you in relation to the completion of this online questionnaire and your personalised report. From time to time, we would also like to contact you with further insights into the PPE equipment industry as well as sending relevant product information and market news. Further information can be found in our privacy notice. I give consent for you to send me this information. 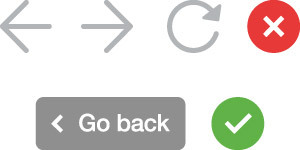 If you want to go back to any stage of the tool, use the "Go Back" button at the bottom of the page. Using the browser back button will reset the form.